Russia continues to openly recruit and send mercenaries for its war in Ukraine. PHOTOreport. In Yekaterinburg, in plain sight under the auspices of the Spetsnaz Veterans’ Fund, mercenaries are being recruited for the war in Donbas. This is stated in a report of the local edition 66.ru, according to Censor.NET. “On February 12 around 14:00, so around the same time when president Putin was talking about the results of the Minsk negotiations, in Yekaterinburg an organisational gathering was held of a company of terrorists who are preparing to be sent into the ‘DNR’ [Donetsk People’s Republic]. The news that on February 15 the shooting should cease was taken by the future militants calmly, sometimes even with a grin,” – says the publication. “I asked one of them: ‘Why are you going to war if there is a truce?’ He replied: “Do you really think that this war will end with this?” – says the author of the report. The news from Minsk did not affect the preparations for the deployment of the unit at all. In the auditorium of the School of the Olympic Reserve, around 40 people gathered – the future company of the terrrorists. There were no young hotheads at all – all the men were aged 30 to 60. Some already had grey hair. They were dressed in different ways as well – some were dressed very modestly, others quite well. The ethnic composition is surprising: among slavic faces, you can also see eastern and southern types. From the talk it is clear: several people have arrived in Russia from the near-abroad countries. The mercenaries asked not to have their faces photographed – they only allowed their backs to be filmed. “The gathering is organized by Vladimir Efimov – chairman of the Sverdlovsk regional fund of invalids and veterans of the special forces. 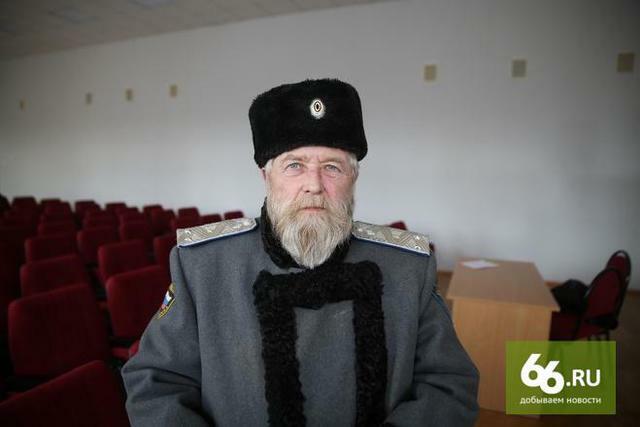 It is he who will take command of one of the battalions of the “Phantom” brigade (brigadier general – Mozgovoi Alexei Borisovich), which will be joined by the newly formed company “Black Knives.” All who are present at the meeting have held preliminary telephone interviews. According to Vladimir Efimov, he constantly receives phone calls from people who want to go to Donbas, so as someone who has already done some fighting, he had to take upon himself the organization of the deployment of such terrorist groups. He declined many. First of all – young people, guys who did not serve in the army. He also didn’t take those who had a criminal past and are generally set for looting. When asked to raise their hands if they have already served, it turned out that there are more than half of these here. And around a dozen have already participated in battles in Donbas”, says the publication. “This meeting is the last stage before being sent to the combat zone. The militants fill out applications and short questionnaires. There they mention their combat experience and military speciality which the terrorists learned while serving in the army (I don’t think there are any here who have not served). Later there is a short lecture on where exactly the company is heading and what it will be doing. And also clarification of the details of future military life. 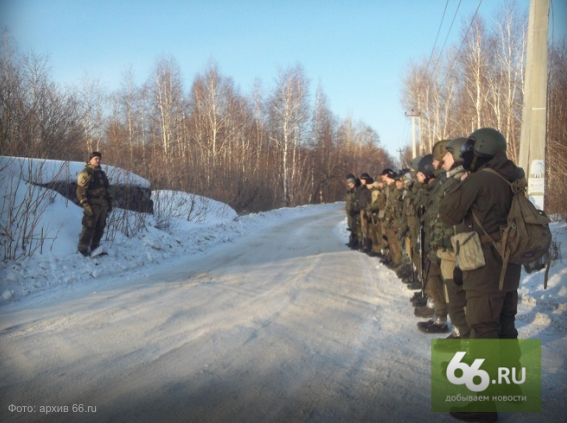 The militants are to fight in the area of the Debaltseve encirclement. According to one of the terrorists who has come back from there, after recent battles the brigade which the Yekaterinburg mercenaries are set to join, suffered heavy losses – many wounded and killed. But the commander specifies that their company will be placed in an operational reserve and will be used as a rapid response unit”, – explained the author of the report. “Nevertheless, almost the main questions for the terrorists were: ‘When will we be given weapons?,’ ‘Will we be allowed to keep them all the time on our persons?’ and ‘How many rifles will the company be given?’ It turns out that many of those present here have encountered a shortage of weapons in the ‘DNR’ and heard that specifically the ‘Phantom’ brigade has issues in this regard. Vladimir Efimov promises that there will be plenty of weaponry, but the terrorists will only receive it on the territory of the ‘Donetsk republic.’ Separately they stipulate the issue of joining a ‘DNR’ gang and receiving payment for the service. Vladimir Efimov immediately states a reservation: this violates the law of the Russian Federation on mercenaries and implies criminal liability upon return. From the hall shouting is heard: ‘And what if I want to remain there?’ The commander says that those who want to start a new life and make a career in a terrorist gang will have to decide on that for themselves while there, since that is their own personal business. There are opportunities for it, but, in swearing an oath to the ‘DNR,’ the volunteer actually violates the oath of the Russian Federation – there is such a legal nuance,’ – notes the newspaper. This is the eldest fighter. He is 61 years old. He jokes about himself that he will go in front of the other fighters and will sprinkle sand on the road so that it is not slippery. But in all seriousness, the man said, he is ready to carry out any orders of the commanders. “There is a separate conversation regarding what the terrorists should take with them. In short – everything. Besides the ‘instrument.’ Mugs, spoons, knives, bowls, underwear, camo and sports wear, shoes, carrying vests, helmets and armour (if they have it), torches, travel mats, medicines and dressings, a supply of food, sleeping bags, even a shovel for digging trenches. Vladimir Dmitrievich clarifies: if you do not have something, you will of course be provided it. The donors have sent both new sets of uniforms, and food, and medicines. But all of this is always lacking in the ‘DNR.’ And it is better to bring it with you than to run around the conflict zone later searching for AntiGrippin or for a headlamp”, – the journalist said. “Judging by the conversations, there are many experienced gunners and mortarmen here. Having found each other, they begin to discuss the features of artillery systems and to guess in advance which howitzers and mortars they will have to deal with in the ‘DNR,’” – says the publication. This entry was posted in English, English News, Pictures, South&Eastern Ukraine, War in Donbas and tagged #FreeSavchenko, #freesentsov, #RussiaInvadedUkraine, #StopRussianAggression, #UkraineUnderAttack, mercenaries, Russia, Ukraine. Bookmark the permalink.